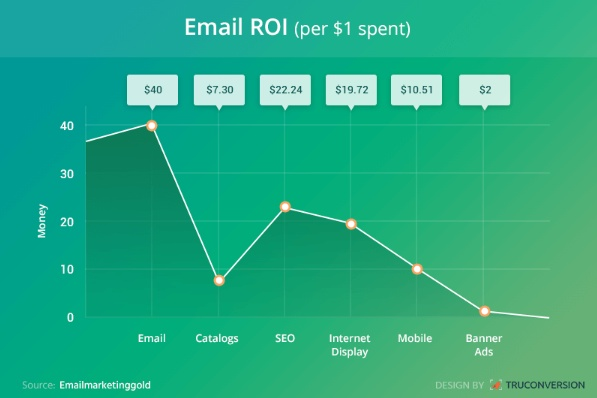 As Neil Patel described the e-mail ROI on this graphic, email marketing has the highest overall ROI in comparison to other marketing techniques. We use e-mail marketing for various reasons. We, do care about e-mail marketing cause it’s a productive way to inform customers about our popular products, build a mailing list for your company, share some news with our customers or let them know about our story. OK! We all know about the benefits of e-mail marketing but do we really know how to grow the e-mail database? No need worries, in this article we’re going to cover the essential steps to grow the e-mail database. So, let’s get started! Let’s start building an e-mail database by drawing attention to the placement. Placement makes a big difference. Try to imagine that you can’t find the signup form or button on the website. You probably leave the site after a few seconds. In order to prevent that scenario, you should include your sign-up form in the navigation or footer of your website. It needs to be visible and reachable on every page. That’s why we advise you to consider the location of your sign-up form. You may want to make a quick research about other websites and their designs. After that, you probably realize that many of them have their sign-up button across the top, bottom and the right-hand side of their page. Let your customers sign-up whenever they want. Provide that with simplicity. 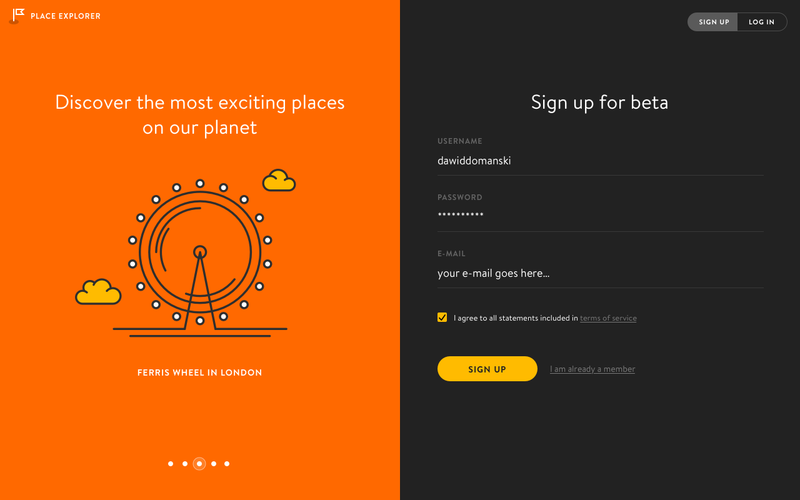 TIP: CREATE A SIGN-UP LANDING PAGE! Landing pages typically don’t have external links or navigation to other pages. So they’re optimized to convert visitors to customers. 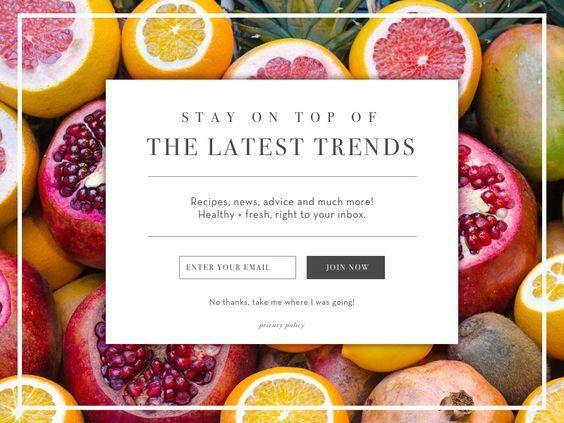 Their main goal is to make visitors click the call-to-action. Why not use such kind of a great tool to grow your mailing list? Trust me, they work. Just in case, be careful. Because if you don’t set up light boxes or popups in a productive manner, you may give a bad impression. Consider the optimal timing to avoid interruption of user experience. Keep it short, simple and ask for relevant information. It’s advantageous for the segmentation of your mailing list. Finally, please don’t forget to thank people that just purchased from you or submitted a sign-up form of your website. Don’t forget to be grateful to your potential customers. For more details about popup services visit PopupSmart’s website. Advance Targeting can be explained as targeting visitors to see your campaign and how it will be displayed to the visitors of your website. It is very useful for the conversion rates of your website. That’s why people generally use popup services. 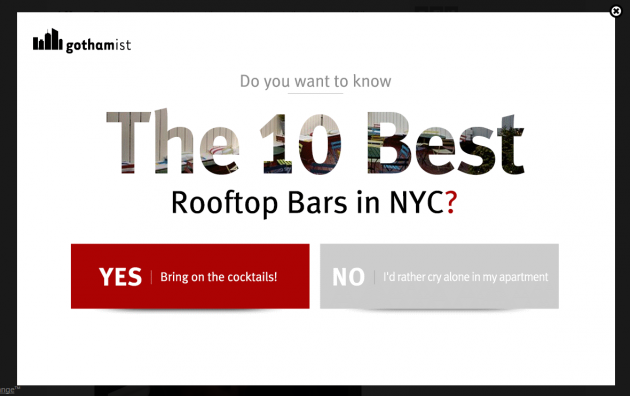 Popups can be used to analyze many other characteristics of your website visitors. For example, are you wondering about your abandoning visitors? Try using Popupsmart to capture them. 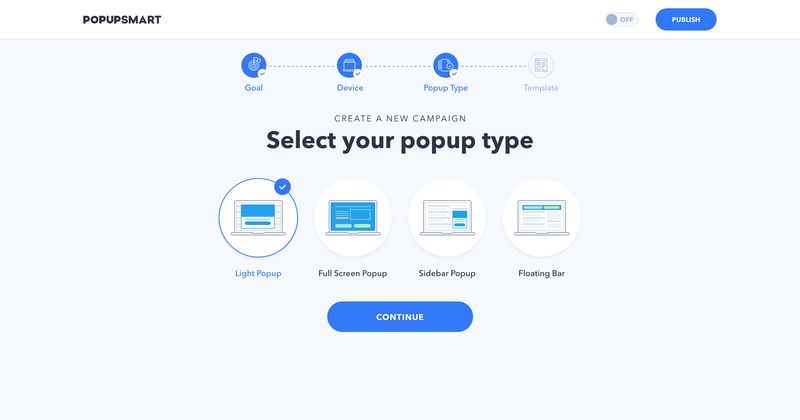 This conversion optimization toolkit allows you to create customizable exit-intent popups that appear on your website at the right time, to the right audience. Popupsmart has an intensive and smart tool that understand visitor’s behavior on your website. For example, it detects the mouse movement and shows popups when visitors about to click the exit button. You should check their website to learn more about creating smart forms and popups. Using a common language is not a good option for growing e-mail list. Cause it doesn’t interesting and charming. However, being so sophisticated is not good either. Just try to be natural. Believe me, you don’t want to sound like Smarty-Pants. Let’s give a specific example for you to understand better. Stay away from the words like ‘’subscribe’’ or ‘’register’’. Don’t try to use very specific business terms. They’re human, as you are. So better using humanlike language to engage with them better. Finally, don’t forget to customize ‘the call to action’ for every other webpage. Stick to the particular context and be relevant. Well, you get what you should do in order to grow your e-mail database. But that’s not enough… Let’s get deep more. As long as you think like a random visitor of a random website, you’ll be able to imagine. The reason is that spending time in a productive manner has a #1 priority in our lives. So what should we do in this case? Let’s say we all need to give something valuable to our customers. We may turn our contents interesting by offering useful promotions or something related to the context. You may inform your visitors about the upgrades of your website. Finally, don’t forget to tell them your posting schedule. No one wants to get their inbox bombarded by your e-mails. It’s better to be clear. One more thing… Don’t forget to include incentive notes for kindly asking them to share your offerings on social media platforms. Whatever you do, please build a trust first. Creating trust is far more important than selling your products. How to Start a Business as a Student?